There's so much that can happen when we journey together as a cohort. More courses and details are added to the schedule periodically. To be notified of new offerings, please sign up for the mailing list. Offered the second Thursday of every month, 7pm-8:30pm at Living Arts Collective in Durham, NC, this monthly class is an ongoing exploration of the life of the soul and the navigation of our unfolding initiatory journeys. All are welcome. For our next meeting date and details, click here. Living the Emergent Quest: January 20–February 24, 2019. ONLINE. Next program date to be announced. This online, six-week, small-group journey is being offered in partnership with the Eco-Institute at Pickards Mountain. Registration now open. Read about the program here. Liberating the Natural Breath: Starts December 2, 2018. ONLINE. Next program date to be announced. This online, four-week, small-group course is co-taught by Simon and Alexander Technique teacher and certified teacher of The Art of Breathing Amira Glaser. Rising Earth: A residential program at the Eco-Institute in Chapel Hill, North Carolina. Annual/seasonal. I've had the pleasure of accompanying Odyssey Fellows at the Eco-Institute on their 10-week journeys of discovery since 2015. Up to 12 fellows are accepted each season, and generous scholarships are often available for participants. The Eco-Institute has now launched a new and enhanced version of this residential program, Rising Earth, to which I’m excited to be contributing through program development, participant mentorship, and facilitation of an Emergent Quest-like group journey woven into participants’ 10-week stay. The journey begins September 2019. For more information, visit the Eco-Institute site. This program is an invitation to step into the emergent quest of your own life. If you sense that greater depths of being and authentic purpose are calling, we would love for you to join us on this journey. For the past three years at the Eco-Institute at Pickards Mountain, this course has served as the core inner development program for the Odyssey Fellows during their 10-week residential fellowships. Since many who wish to join the Odyssey Fellowship are unable to do so in person, the Eco-Institute has decided to make the Emergent Quest available to all through this online, small-group program. 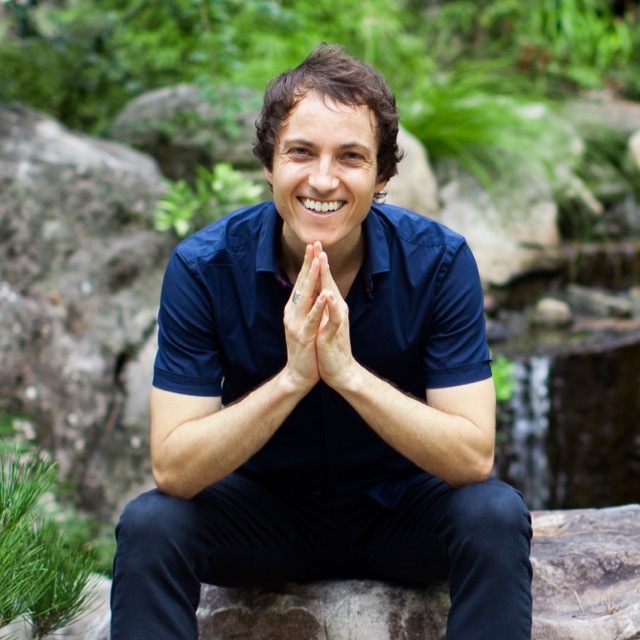 Facilitator Simon Spire will lead a six-week journey that amplifies what’s waiting to emerge and equips participants with the skills needed on the unfolding path into one’s deeper nature and greater purpose. We will encounter layers of ourselves and our conditioning that are ready to transform, heal, and shift; we will open to the core of our being; we will listen to the authentic direction, soul, and creative expression that wants to come to life in us. Together, we will approach the threshold of the larger conversation with life that is wanting to emerge. A 50-minute, private, one-on-one mentoring session with the class facilitator. Suggested weekly readings, reflections, and experiential activities. In addition to deeply engaging with their own individual journey within this potent, six-week container, participants will also gain skills in areas such as transformative, mindfulness-based relating to emotional content; depth psychology, dreamwork, and archetypal understandings; the creative process; models of human development and psychological growth; and foundational wisdom and principles from contemplative traditions. Online discussion forum for interacting with the other participants in your class. Class size limited to a maximum of 12 participants to ensure individual attention and space for discussion. Adults of all ages (18+) are welcome. Live sessions will be held via video conferencing using Zoom and will take place Sundays, 4pm-6pm Eastern Time, on January 20, January 27, and February 3, 10, 17, and 24. Step 1: Complete and submit the short form at the bottom of this page (or click here). Step 2: The registration team will review your application and contact you within two business days. Step 3: The team will send you a PayPal or Venmo invoice. Once paid, your place in this small-group journey is confirmed! Simon Spire’s transformative framework, Emergent Inquiry, invites people into a space in which shifts can happen. He brings to his facilitation years of exploration of self-inquiry, non-dual wisdom traditions, and meditative practices; the perspectives of developmental and depth psychology; and his long experience with artistry and the creative process. Simon holds a bachelor’s degree in economics and finance from the University of Auckland; a master’s degree in psychology from Columbia University; is a Certified Trainer of Focusing, a mindfulness-based, somatic approach to psychological healing and development; has completed a yearlong soulcraft immersion and vision quest with Bill Plotkin and Animas Valley Institute; and is currently pursuing doctoral studies. His life has been inspired by two interrelated, core questions: what is the nature of full human development and flourishing, and how can we create more life-supporting economic dynamics in our world? This exploration has also led him to involvement as a director with organizations active in the fields of leadership development, mental health, social entrepreneurship, and sustainable development. He is currently affiliated with Post Growth Institute and the Center for Ecozoic Studies. A member of the Odyssey Fellowship staff at the Eco-Institute, he has designed and facilitated the fellows’ core inner development programming since 2015. He found himself on an emergent quest of his own years ago when he was led from his New Zealand homeland to the US by his career as a recording artist and songwriter. Is there anything else you would like us to know—or that you would like to know from us—at this time? Thank you! We will be in touch with you within two business days. An experiential program designed especially for those experiencing air hunger or breathing tension and drawing on transformative development and principles of the Alexander Technique. Breathing is perhaps the most natural thing a human being can do. Why, then, do many people suffer from breathing tension, air hunger, and discomfort? Why is there so much confusion surrounding how to respond to such problems? Liberating the Natural Breath addresses these questions and the struggle we experience when the natural dynamics of our breathing are disrupted. Rather than trying to respond to unconscious tension with even more tension by imposing some conception of “correct” breathing from the outside, Liberating the Natural Breath goes to the core of the dysfunction using principles of the Alexander Technique and inner development. Through physiological understanding, experiential exercises, self-knowledge, and the progressive unwinding of habitual interference, participants are shown the way toward the liberated breath—the easeful, natural, comfortable breath that the body innately knows how to re-establish, if given the opportunity. Facilitators Simon Spire and Amira Glaser will introduce participants to the elegance and physiological intricacies of the breathing mechanism and the relationships that exist between psychological growth and easeful breathing. They will orient participants to the profound understandings of habit and embodied ease developed by F. M. Alexander (1869-1955), the founder of the Alexander Technique, while also integrating knowledge from Jessica Wolf’s Art of Breathing. And they will guide participants in their journey toward the deep relief of being at home in one’s own easeful breathing, a process that is rich with newfound freedom, insight, and self-discovery. This course is designed to be a potent and very specific addition to in-person Alexander Technique instruction whenever possible. A 50-minute, private, one-on-one session with Simon. Suggested weekly activities between classes. Class size limited to a maximum of 8 participants to ensure individual attention and space for discussion. Live sessions will be held via video conferencing using Zoom and will take place Sundays, 1pm-3pm Eastern Time. The first three classes will be held on December 2, 9, and 16. The final group class will be held on January 13 so that participants can all share their progress since the December classes and have further questions addressed. Guidance in finding an Alexander Technique teacher in your local area for continuing to deepen the work in-person. Total price: Earlybird rate: $300 if paid by November 18. Standard rate: $350 if paid after November 18. Tuition payable by PayPal. Step 1: Complete and submit the short form at the bottom of this page. Step 2: We will contact you within two business days. Step 3: After contacting you, we will send a PayPal or Venmo invoice. Once paid, your place in this small-group journey is confirmed. The lead-up to this course offering has a long history. Simon began experiencing pronounced air hunger and breathing difficulties in 2001. After a long journey, he eventually discovered the way back to the natural breath largely through the Alexander Technique. When he wrote about the process in the article Discovering the Liberated Breath, he was surprised to learn how many people experienced both the same struggles and the same near-absence of solutions from health care professionals. Over the years of conversing with people who contacted him after reading the article, he started to realize the need for a more structured delivery of information, explorations, and practices that could support this community. One-on-one sessions can be great, but a class allows for a broader communication of essential information at a lower cost, while also providing a forum for us to learn from the experience of others dealing with similar challenges. Amira has been teaching the Alexander Technique since 2005. She has also studied extensively with Jessica Wolf, the founder of the Art of Breathing technique based on the work of F. M. Alexander and Carl Stough. Amira is a certified Art of Breathing teacher, a certified teacher of the Alexander Technique, and a licensed acupuncturist. Lucky for Simon, he found Amira in 2008 after moving to New York and began the awesome journey of embodied freedom invited by the AT. Amira is a North Carolina Licensed Acupuncturist, a Diplomat of Oriental Medicine (Acupuncture & Herbology) with the NCCAOM, an AmSAT certified Alexander Technique teacher, she also holds certification in Jessica Wolf’s Art of Breathing, and in Jeffery Yuen’s Classical Chinese Dietary Therapy. Learn more about Amira’s journey and her work with Jessica Wolf’s Art of Breathing. Simon Spire’s transformative framework, Emergent Inquiry, invites people into a space in which shifts can happen. He brings to his facilitation years of exploration of self-inquiry, non-dual wisdom traditions, and meditative practices; the perspectives of developmental and depth psychology; and his long experience with artistry and the creative process. Simon holds a bachelor’s degree in economics and finance from the University of Auckland; a master’s degree in psychology from Columbia University; is a Certified Trainer of Focusing, a mindfulness-based, somatic approach to psychological healing and development; has completed a yearlong soulcraft immersion and vision quest with Bill Plotkin and Animas Valley Institute; and is currently pursuing doctoral studies. His life has been inspired by two interrelated, core questions: what is the nature of full human development and flourishing, and how can we create more life-supporting economic dynamics in our world? This exploration has also led him to involvement as a director with organizations active in the fields of leadership development, mental health, social entrepreneurship, and sustainable development. He is currently affiliated with Post Growth Institute, the Eco-Institute at Pickards Mountain, and the Center for Ecozoic Studies. He found himself on an emergent quest of his own years ago when he was led from his New Zealand homeland to the US by his career as a recording artist and songwriter. Learn more on the About and Bio pages of this site.